Pre-Orders are now open for the new BlackBerry Q10 SIM-Free version in the UK. It’s available as a SIM-Free smartphone for £579.95. You can also get it for £32 a month via a contract for two years from the Carphone Warehouse. 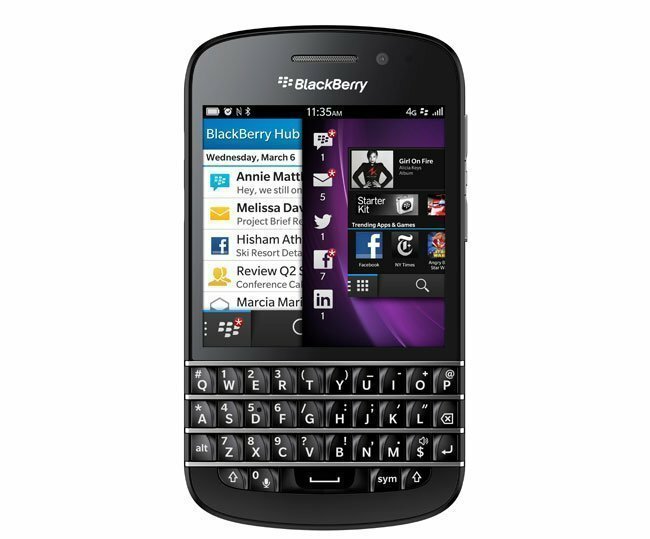 The Blackberry Q10 is only the second smartphone in the UK to be equipped with the BlackBerry 10 operating system. Amongst the top features of the BlackBerry 10 operating system includes robust top of the line security features. The BlackBerry Q10 features a full QWERTY keyboard. Critics have said that QWERTY keyboards will be a thing of the past, but BlackBerry has continued to follow its own path which is clearly working for the company. Critics have also said that BlackBerry Is Highly Undervalued According To The FCFF Valuation Model. The BlackBerry Q10 can be obtained from Orange, O2, Vodafone EE, Three and TalkMobile in the UK.